I just got back from the Uinta Highline Trail. 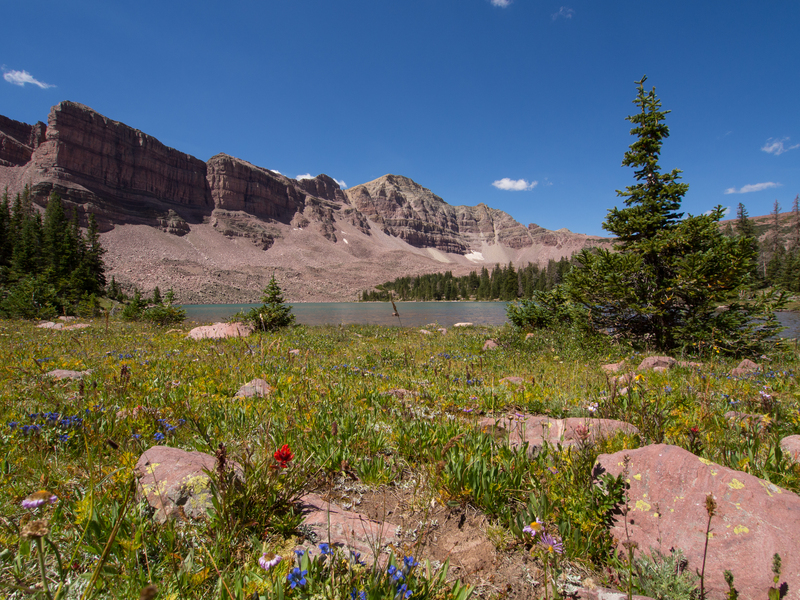 This trail follows the spine of Utah’s Uinta Wilderness Area. It traverses about 70 miles, and requires a bit over 15,000 feet of vertical gain (and corresponding vertical loss.) The route pretty much stays above 10,000 feet altitude, with multiple 12,000+ foot passes. Scenery and vistas are spectacular. We hiked the trail from East to West, starting at the Chepeta Lake trailhead. From where I live in the Salt Lake City suburbs, it’s a full 5 hour drive to the Chepeta trailhead, with the last couple hours on rough dirt roads. My son dropped us off at the Chepeta Lake trailhead Sunday night and we hiked for about 15 minutes or so then camped near the trail. Unlike what is shown on the the Trails Illustrated map we were using, the trail doesn’t actually head up to Chepeta Lake, but rather cuts pretty much due west from the trailhead. Our camp the first night was at : Lat 40.780972 Lon -110.023248 The trail runs right past this spot. The next day, we made pretty good time. Headed up over North Pole Pass, then down into the valley below. We hiked until we were pretty tired, and made camp that night on the shores of the South Kidney Lake. 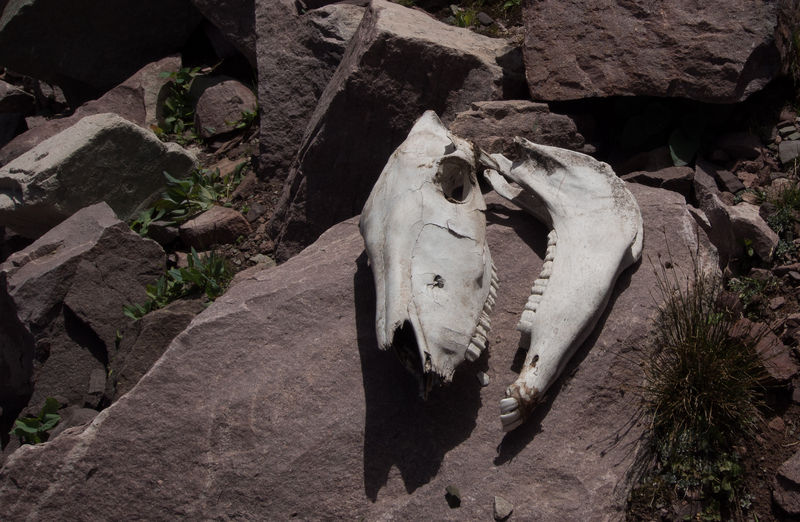 Sadly, the area around Kidney Lakes has been seriously trashed by horse packers and big groups. It was difficult to find a decent camp spot that didn’t have big mounds of stinking horse dung, tons of horse packer trash and other signs of “high impact” users. 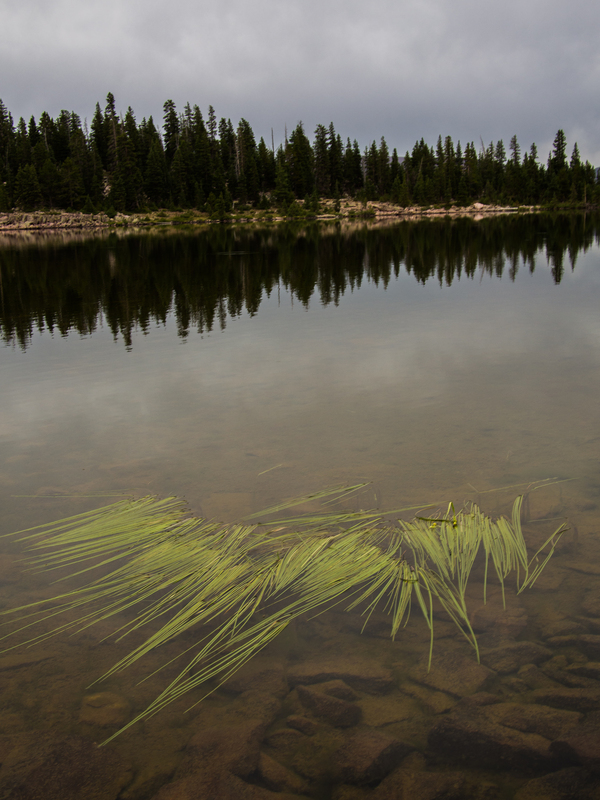 I fished a little bit in Kidney Lakes, but didn’t catch anything. The next day was perhaps our hardest of the trip. We left our camp at Kidney Lakes and hiked West up Painter Basin to Anderson Pass. By the time we got to Anderson Pass, we were pretty tired, and the rocky trail and altitude (about 12,600 feet) really took their toll on us. We had originally thought of taking off from Anderson Pass to climb King’s Peak (at 13,528 feet the highest point in Utah) but our fatigue and threatening weather convinced us to just keep on moving West along the trail rather than take a peak bagging detour. 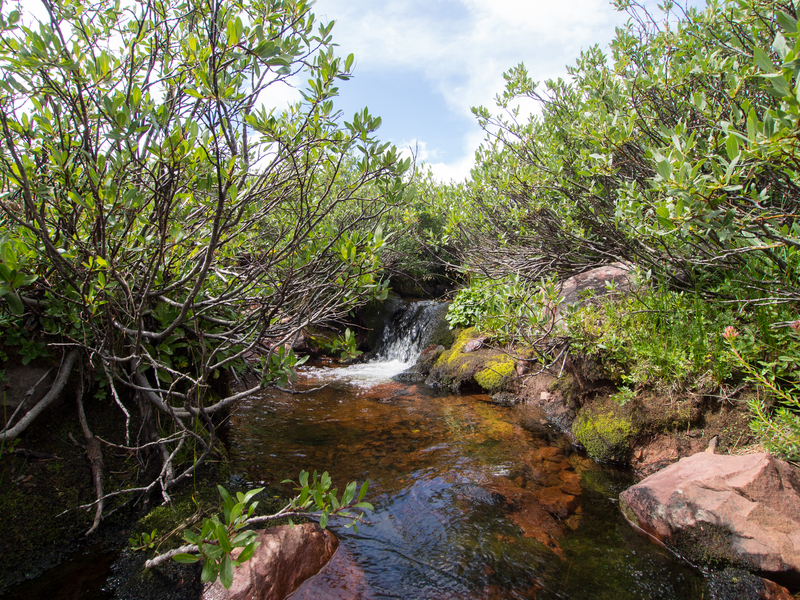 Great bath spot in the Yellowstone Creek drainage. It rained heavily that night for about 4 hours. We woke up early and packed our wet tents and other gear and headed off again. Tungsten Pass was easy, and Porcupine not so bad either. We had lunch on the West side of Porcupine Pass and took advantage of the bright sunshine to dry our wet gear. Having carried a bunch of fishing gear all this way without catching any fish at all, I was anxious to catch some fish. So, I headed down the trail to where it met the Lake Fork River and did some fishing. The river was full of brook trout. 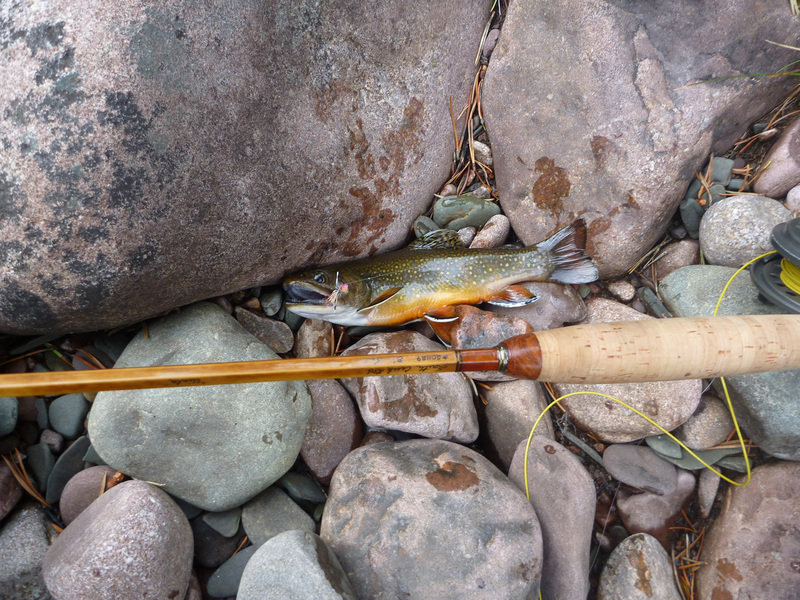 As with most wild backcountry trout, they were very aggressive and not at all suspicious of my dry flies I was using. I’d catch one about every 20 feet of wading or so. None of them were big, but many were beautiful. The next day was one we had been dreading the whole trip. We were going to tackle two big passes in one day. The day began with Red Knob Pass, then we had to get over Dead Horse Pass. From the maps, they both looked steep. As it turned out, we managed to get over both passes and still had some energy left in the tank. The weather was hot, but we’d had enough hiking that we were getting into a good rhythm and made good time. After we got over both passes, we still had a surprising amount of energy. After a short rest (and nap) at the base of Dead Horse Pass, we kept on going, and eventually made camp at the spot where the trail met up with Rock Creek, not too far from Rocky Sea Pass. Rock Creek was also full of Uinta Brook Trout, and I had a fun time catching them. Another thing the Rock Creek drainage was full of was cow manure. Clearly, this area is used for cattle grazing. I have to say that I’m not a big fan of cattle grazing in wilderness areas. 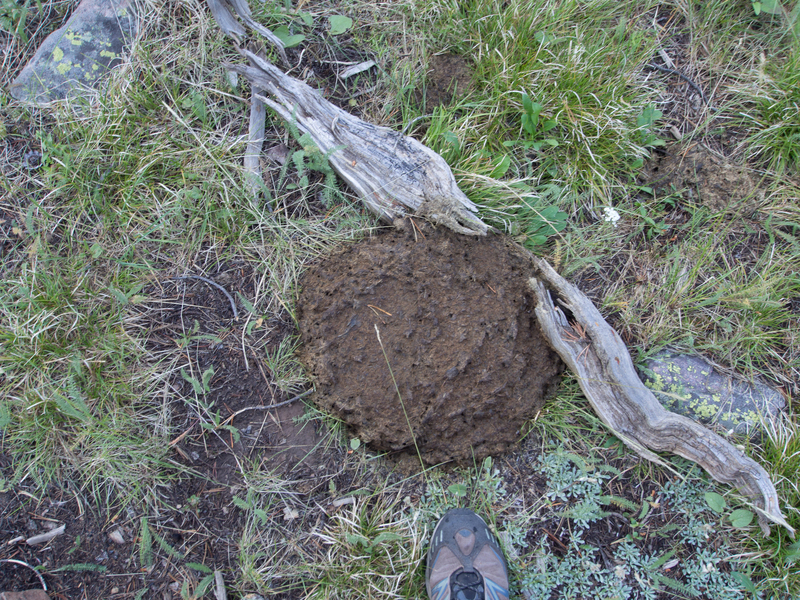 Seeing cattle damage and cow pies everywhere seems incompatible with wilderness. At this point, we were within easy striking distance of the end of the trail. It was Thursday night, and we were not scheduled to be picked up until Saturday at noon. It seemed likely that we were going to be done with the trip quite a bit sooner than Saturday at noon. The next day, we made short work of Rocky Sea Pass, the last pass on the trail. It looked like we could reach the trail head by the early afternoon. Luckily, I had my Delorme inReach with me, which allowed me to use satellites to send a text message to our wives asking to be picked up a day earlier than planned. It worked out well, and we got picked up about 15 minutes after we reached the trailhead on mirror lake highway, next to Butterfly Lake. We were tired but happy. The trip had been a bit of a grind at times, but the scenery had been beautiful and we’d had excellent weather (and no mosquitoes.) All in all, it was a terrific outing. In spite of the fact that I knew that this was a long hike with a lot of vertical, I somehow brought way too much stuff on the trip, and as a result I carried a pack that was significantly heavier than it should have been for a trip like this one. I own a lot of really lightweight gear. However, having a lot of lightweight gear doesn’t help reduce your pack weight if you bring too much of it, which is exactly what I did. When packing for the trip, I thought, “fishing will be great up there.” So, I added about 5 pounds of fishing gear (rod, reel, waders, wading shoes, tackle, even an extra fly box) to my gear pile. Thinking about the scenic beauties I would see along the route convinced me to add another several pounds of camera gear (Olympus OMD camera with 3 lenses.) Similarly, I tossed on extra food and brought the entire first aid/repair kit instead of just the essentials. I didn’t coordinate group gear with my partner particularly well either. As a result, we had duplicate water purification stuff, two tents, and other overlapping items. I brought too much food too. When I finished the trek, I still had over a pound of food left over. 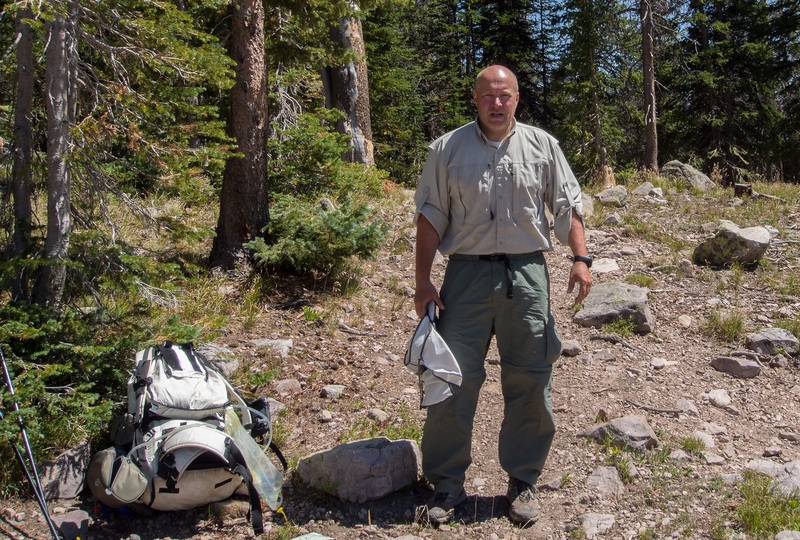 My pack weighed about 40 pounds, and I estimate that if I had been a little more rational and careful, that I probably could have cut 10-15 pounds from that total. When you’re doing 15k of vertical, a 25 pound pack is very different than a 40 pound pack. It’s the difference between being tired and hammered at the end of the day and feeling good. I should have known better than to carry so much extra stuff. I know how to go ultra light. I guess I just got confused and made some stupid decisions. I forgot the primary purpose of the trip. If I’m going on a casual backcountry fishing trip, there’s nothing wrong with carrying an extra 5 pounds of fishing gear. (If the purpose is fishing, then it’s dumb not to bring enough gear to fish efficiently.) Likewise, it often makes sense to bring a bunch of camera gear if you think that the photography opportunities will be terrific. However, this trip involved hitting the trail every morning at 7:00 and hiking pretty much non-stop every day until 4:00 in the afternoon. There was too much ground to cover to stop and fish or take long breaks for photography. This trip was about covering distance and altitude. A lighter pack would have been much better. 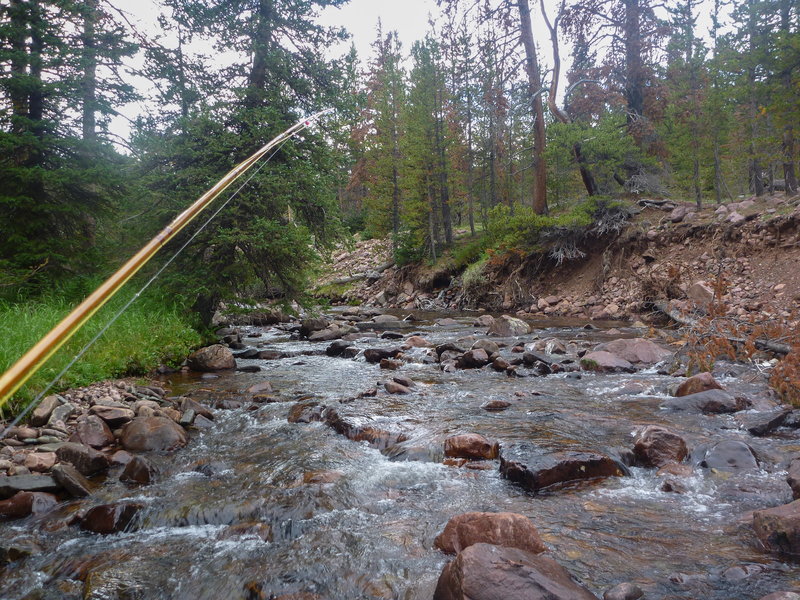 If I were doing this trail again, I’d ditch most of the fishing gear, and take only a Tenkara rod and minimal fishing gear with a total weight of less than 8 ounces. Likewise, I’d leave the interchangeable lens camera system at home and just bring a single high-quality pocket camera such as my Lumix LX-5 or Canon S100. To show just how much stuff I had, below is a list of things I brought. Items in red are things I could have done without. Exped Synmat UL sleeping pad. Tenkara fishing kit with tippet, floatant, etc. Lunch: Bagels, peanut butter, dried fruit. 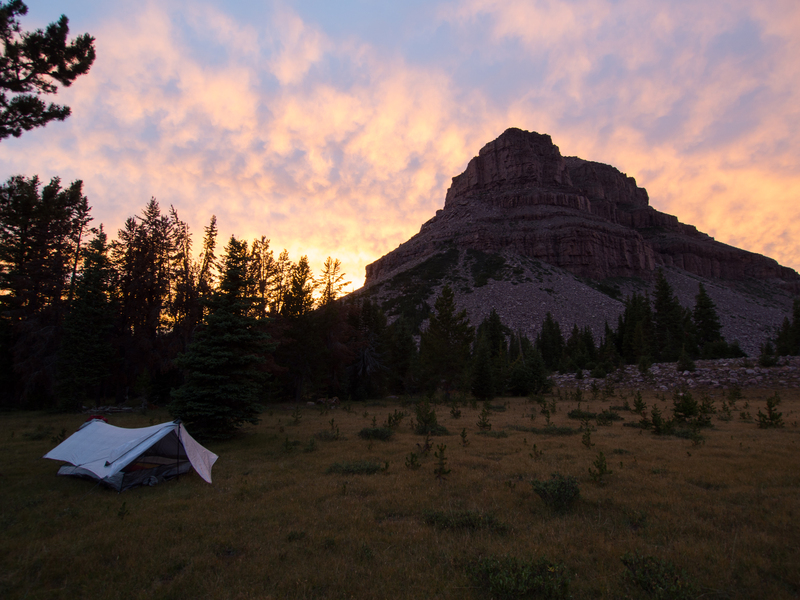 This entry was posted in Backcountry Gear Reviews, Backcountry Trip Reports and tagged highline trail, mediocre mountaineering, uinta, Uinta Highline by Kai. Bookmark the permalink. Great write up. Thanks for sharing. We were one week ahead of you. I like the idea of brats on the first night out. Stumblued upon your blog looking for people sharing their experiences with the Olympus OM-D which I am considering buying. 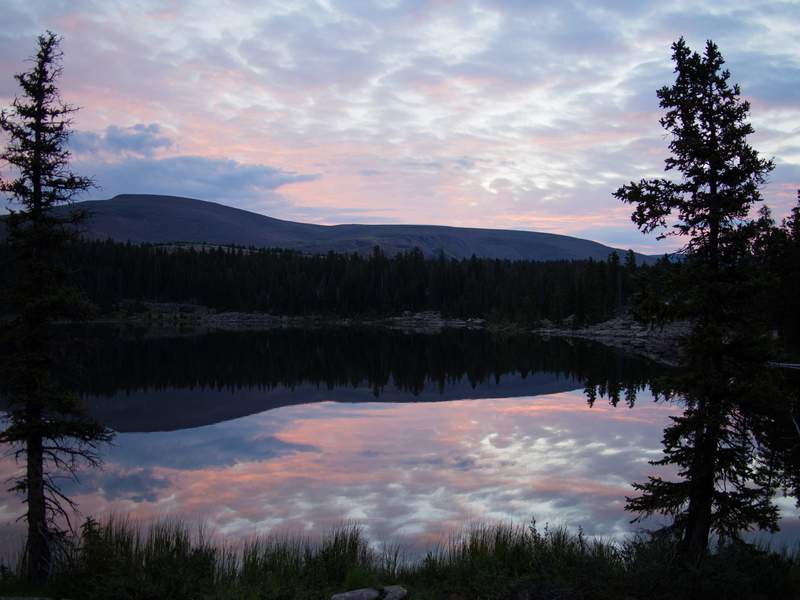 Instead, ended up reading this amazing write-up of your Uinta Highline trip. Thanks for sharing. A recent transplant to Salt Lake City, I now want to do this as well! I am reading all I can before I begin my UHT trip this June. I live in Vernal, Utah and would offer to any fellow hikers a shuttle to the trailhead at McKee Draw on Hwy 191. Thank you for all the details and pictures! I especially appreciated your candid admission to what was necessary and unnecessary as this will influence my choices of supplies. Also I appreciate your menu, it gives me good ideas for myself.